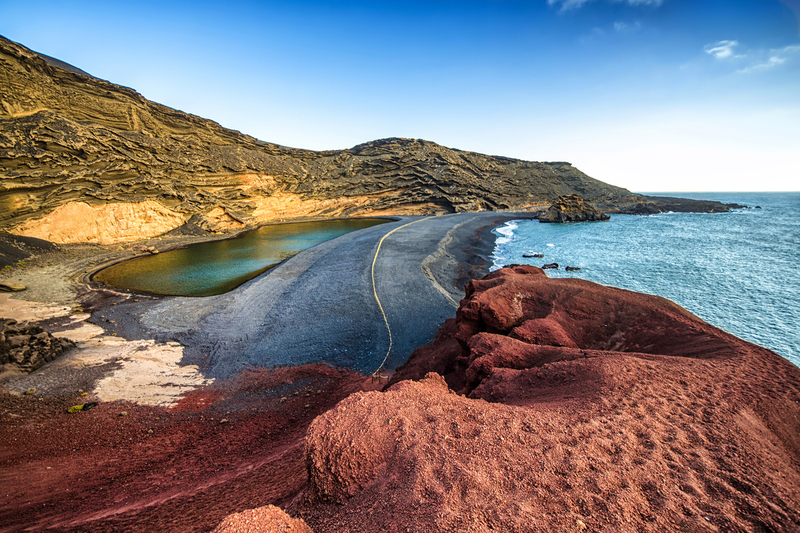 Lanzarote is a real beach lover’s paradise, with some of the best in the Canaries. Its stunning coastline packs in golden swathes of sand with natural black volcanic beaches for a truly unique island. 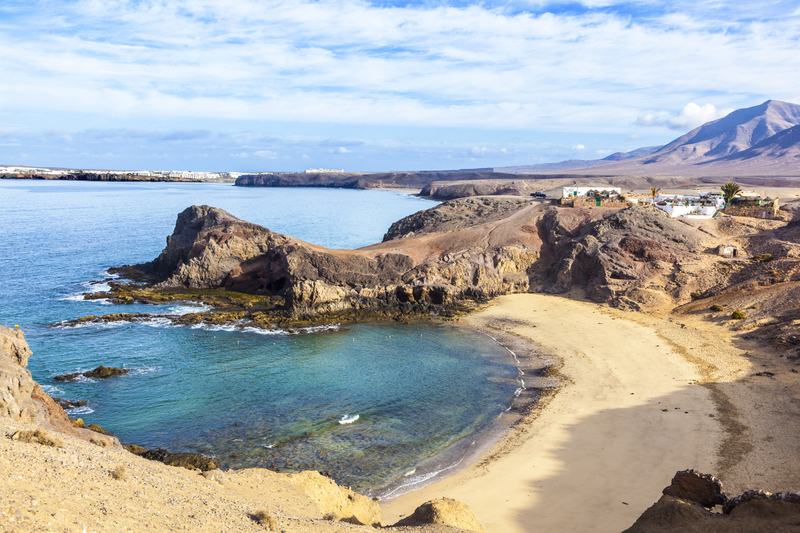 We explore a handful of the best beaches in Lanzarote to start you off on your next beach holiday! One of six beaches in the area of Los Ajaches National Park, this is arguably the most impressive. Close to Playa Blanca, it’s easy to reach by road. Emerald green waters shallow enough to swim or snorkel mean this beach is always popular with locals and tourists alike. Although there’s not much else around, there’s a small beach bar on the hillside where you can get refreshments. 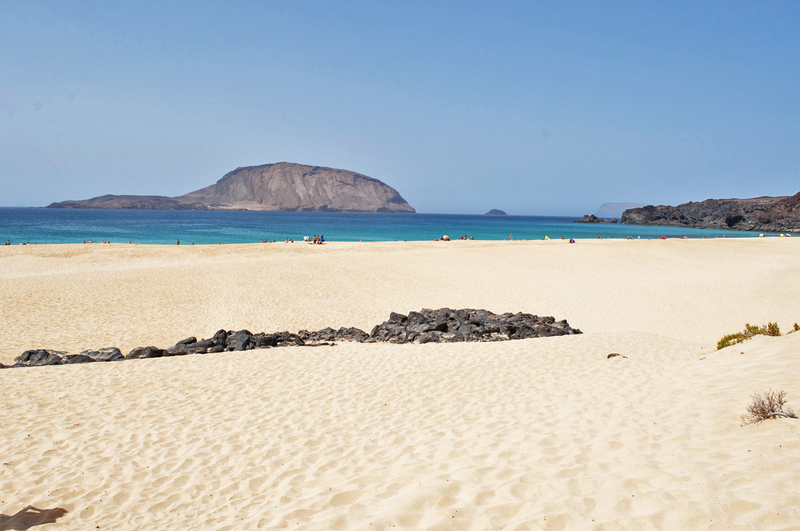 Located on La Graciosa, an islet just off Lanzarote’s north coast, this is a sweeping golden sand beach that is quite remote and off the beaten track. The ever-changing sea makes it a peaceful and entrancing place to visit. Ferries travel several times a day to and from the beach, or you can choose to walk or cycle from the main town. 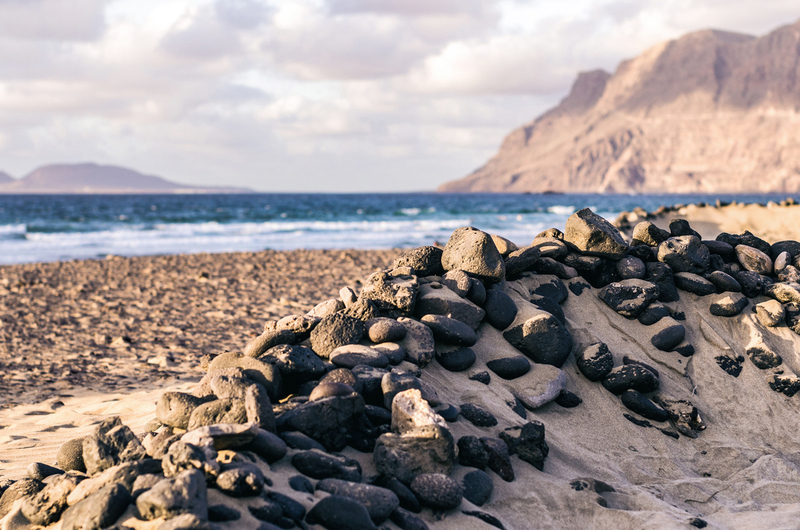 In the north west of Lanzarote, this expansive beach in the small fishing village of Caleta de Famara offers a backdrop of cliffs. It’s popular with windsurfers and surfers as the winds are often high and the sea is rough. It’s not a beach that’s suitable for swimming but offers a relaxed atmosphere and stunning views. The main or central beach in the area of Playa Blanca is a large family-friendly beach with Blue Flag status. The waters are calm and shallow for swimming and water sports, while there are plenty of sunbeds and nearby facilities. 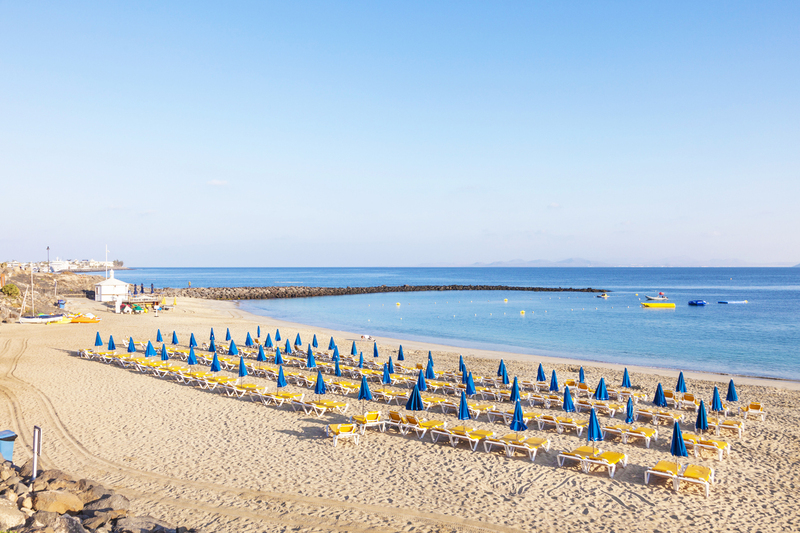 Along the promenade, there’s an array of restaurants, cafes and bars that lead onto neighbouring beaches of Playa Flamingo and Playa Dorada. Also known as the Green Lagoon, Charco de los Clicos lies inside an extinct volcano submerged into the Atlantic. Algae on the seabed gives the lagoon it’s vivid colour, while volcanic black sand and red rocks offer a striking contrast. This is one to capture on camera!